This is NOT the castle picture you had in mind. 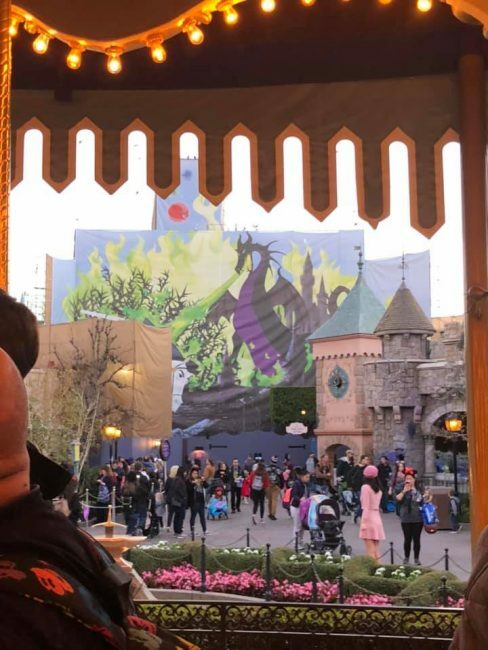 Before you get a little bummed, remember that there is a huge Disneyland ticket sale during this refurbishment, so saving over $100 on Disneyland tickets is worth missing out on this one photo location…right? I definitely think so. So now you are left wondering how you will get those iconic photos to remember and share your trip by. There are so many great Disneyland photo spots, you will barely even realize you missed out on that classic castle picture. 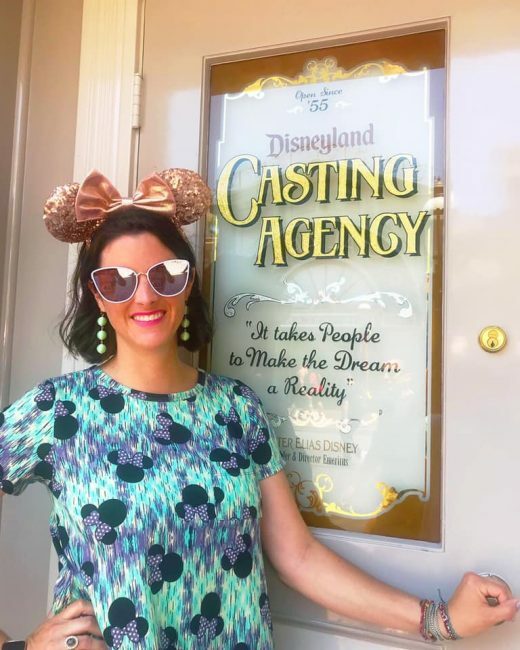 From Disneyland photopass locations to cute Disneyland pictures you take yourself (hello selfie!) 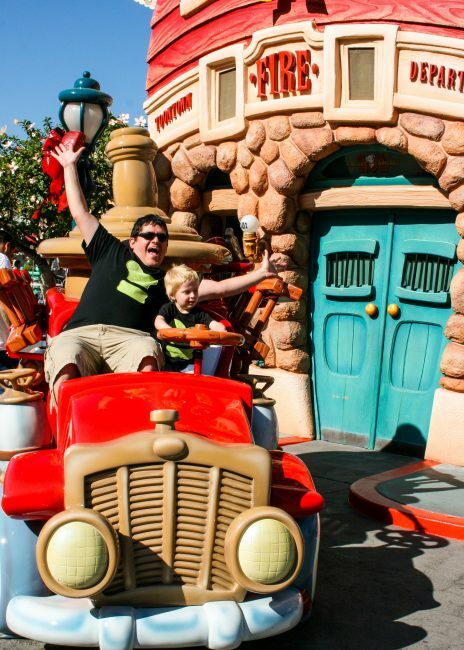 check out our list of Disneyland photo spots you won’t want to miss. After the castle, I think this is easily the most iconic Disneyland photo location. You can catch a Disneyland photopass photographer to grab this photo for you on the bridge leading into Pixar Pier, or you can head over to the World of Color viewing area for a different angle. 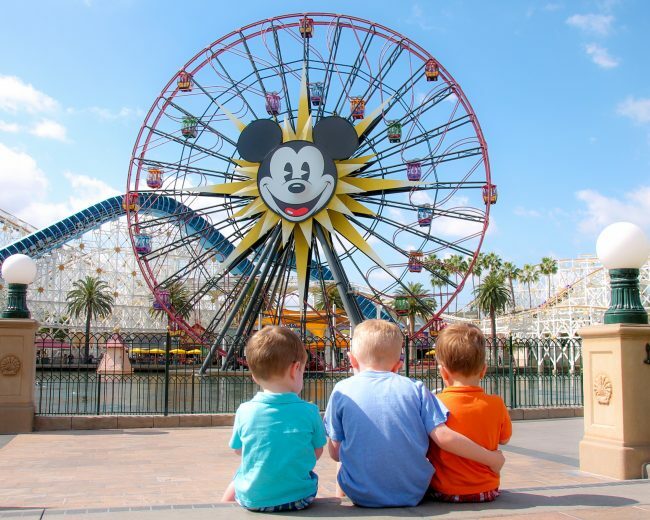 This is where I took my favorite picture ever of my boys in Spring 2017 (before it was Pixar Pier). 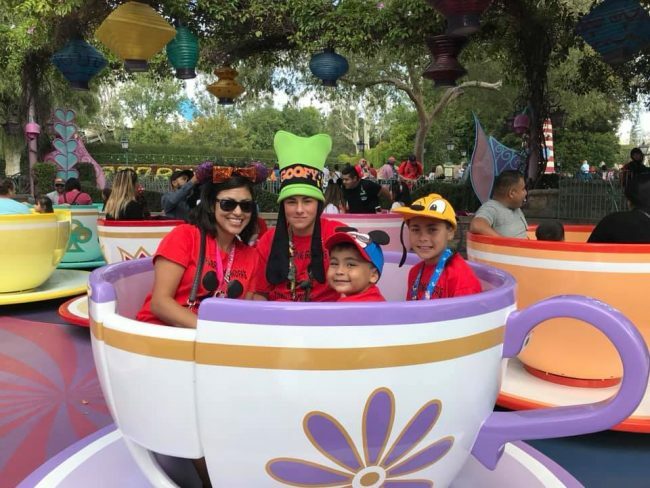 Whether you are taking a photo on the actual Mad Tea Party ride, or you use the giant teacup outside the Mad Hatter shop in Fantasyland, the Teacups are one of the most instagramable Disneyland photo locations. Nothing quite says Disneyland like those teacups. 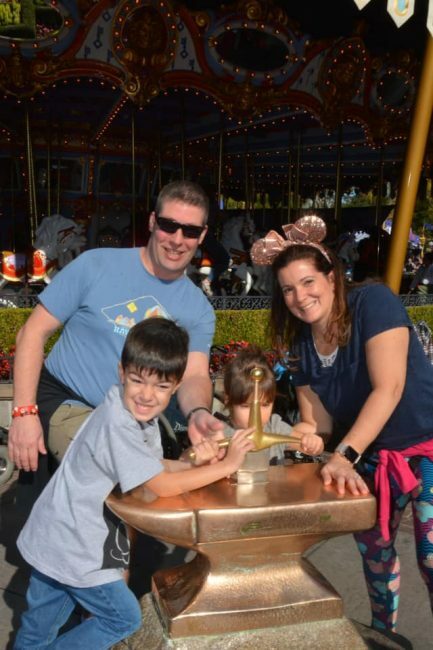 Disneyland photopass photographers are often available at the large teacup photo spot. Bonus Tip: Disneyland’s Photopass service is included when you purchase Disney MaxPass. Nothing quite says Disneyland then snapping a photo with the main mouse himself, am I right? 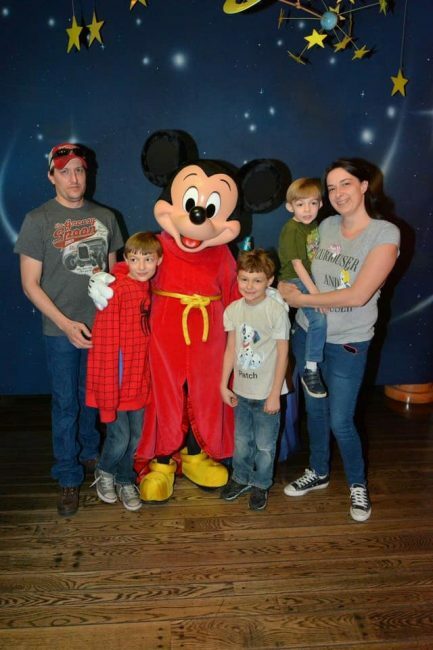 Be sure to snap a photo with Mickey Mouse while you are visiting Disneyland. You can find Mickey Mouse at multiple locations throughout the day, but he is almost always available at his house in Toontown. 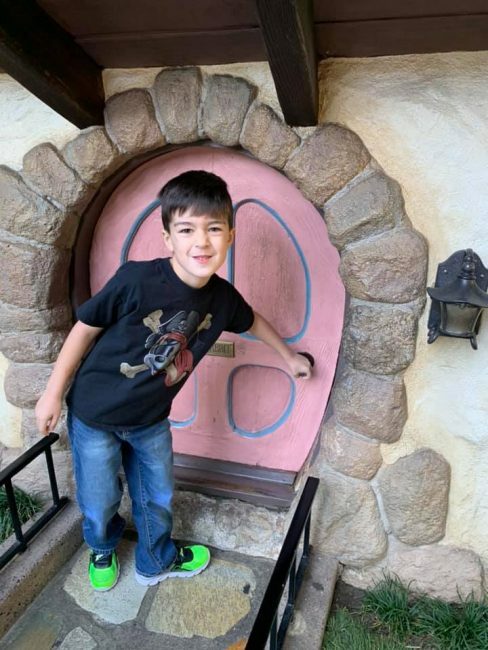 The only downside to getting photos with Mickey Mouse at his house in Toontown is that Disneyland photopass photographers are no longer located here. With low lighting, it is often hard to get a great photo with Mickey Mouse. You can also find Mickey out on Main Street and Buena Vista Street (in California Adventure) where he will often have a Disneyland Photopass photographer with him. 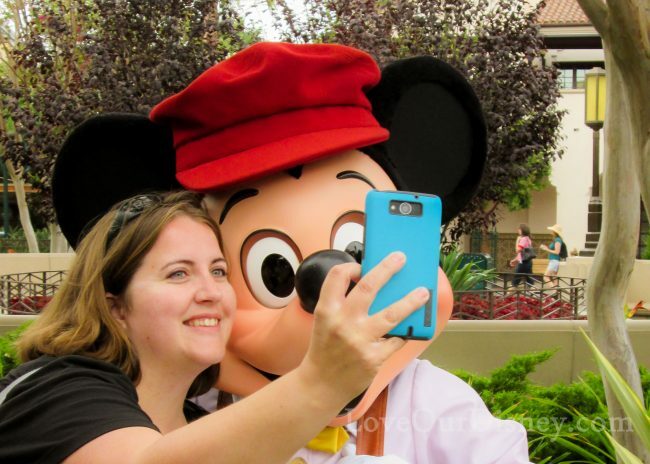 And don’t forget the all-important “Mickey selfie” when you meet the main mouse himself. Cars Land is seriously somewhere you could take photos for days, but one of the best places to catch a Disneyland photo is by Radiator Springs Racers and to the side of Flo’s V8 Cafe. If you are patient you can get some of the cars racing in the background. This spot will often have a Disneyland photopass photographer available as well. 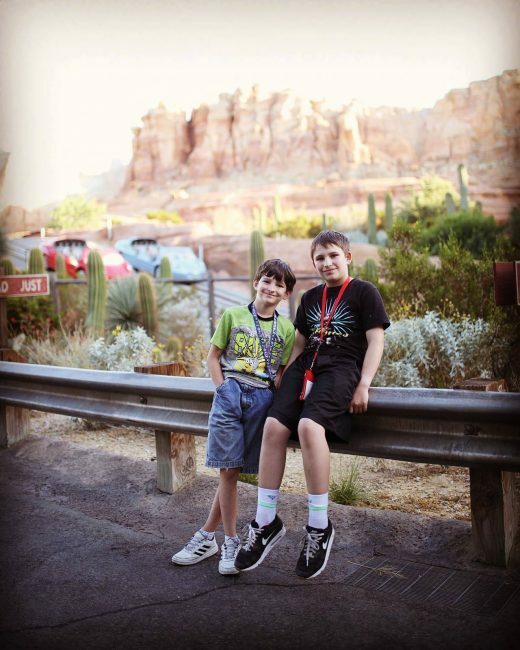 The sign at the entrance to Cars Land is another great photo spot at Disneyland Resort. 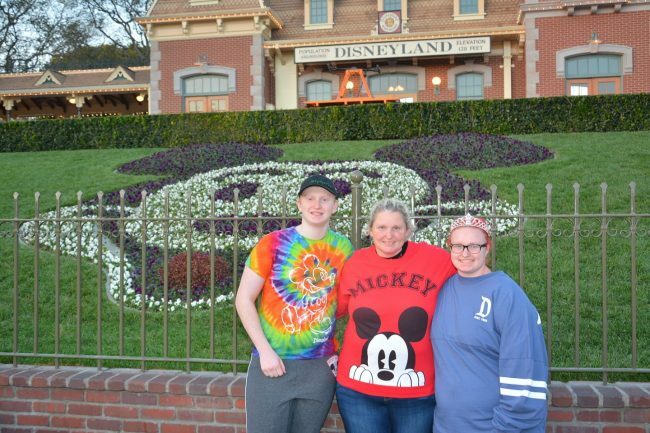 Again, this location usually has Disneyland photopass photographers. Disneyland has been adding a lot of Instagramable walls lately, but nothing quite beats the original Disneyland Instagram wall (at least I think it was the original) near “it’s a small world” (when looking at the attraction it is to the left). Heck, even my husband got into the Instagram walls in our November 2018 visit. I have to say, the retheming of Paradise Pier to Pixar Pier made it a lot more photo friendly. Some people feel it was “made for the Instagrammers” but I think it is great for anybody who wants those photo memories. Pixar Pier will also often have a photopass photographer available. Bonus Tip: The cost of Disneyland photopass is often cheaper when you buy it via MaxPass rather than purchasing alone. Oh, so you thought we were just doing millennial, Instagrammer locations now? NOPE! This is another favorite location of mine. You can either take the photo on the stationary elephant, or my favorite, take it on the ride while in flight. This is another cute Disneyland picture spot located in Fantasyland. I once had someone comment on my blog that she took her kids’ pictures at this spot every year to watch how they grew. Such a cute idea! This spot is located near the Mad Tea Party, on the back side of Mad Hatter shop. 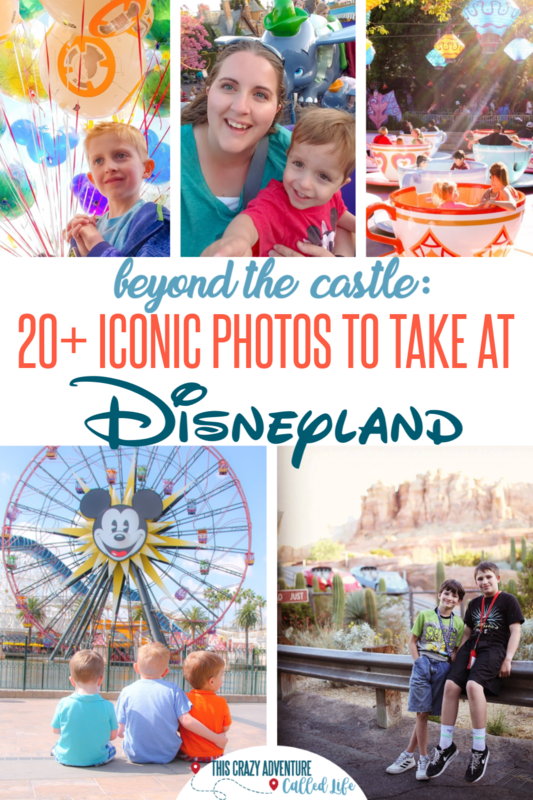 Just as you enter the gates to Disneyland, you will find an iconic photo location. The flower Mickey at the main entrance is an iconic photo location that often has a Disneyland photopass photographer available. My husband’s favorite classic Disney movie is Sword in the Stone, so we always have to try and pull the sword. 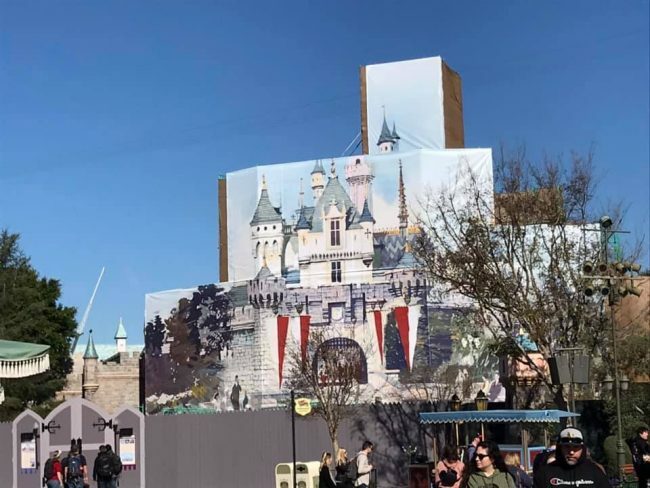 Just be sure to get the angle with King Arthur’s Carousel behind it as the backside of the castle is also covered in art work at the moment. And yes, this is another location that often has a Disneyland photopass photographer. 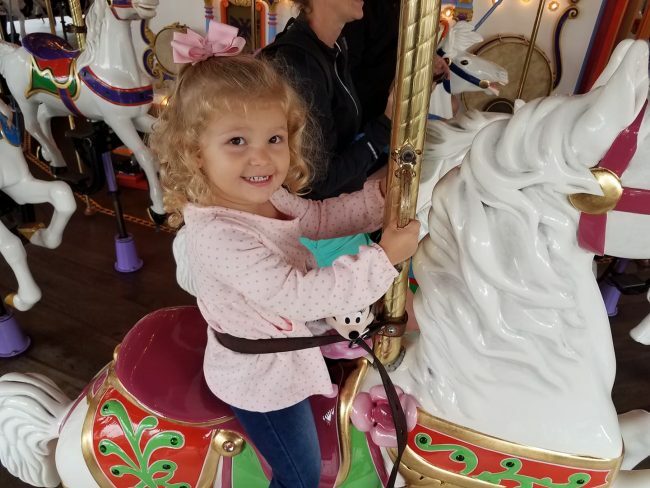 Sure you can find a carousel in almost every city, but none are quite like Disneyland’s. First, you can usually get Fantasyland in the background, but second, all of the horses are white. Every. Single. One. Bonus points if you get to ride Jingles. There are so many great spots in Mickey’s Toontown for Disneyland photos, but I think the cars in Toontown are some of the most iconic locations. Throwback to The Goof’s 3rd trip at almost 2 years old. How can you not take a picture at the Toontown Fire Department? 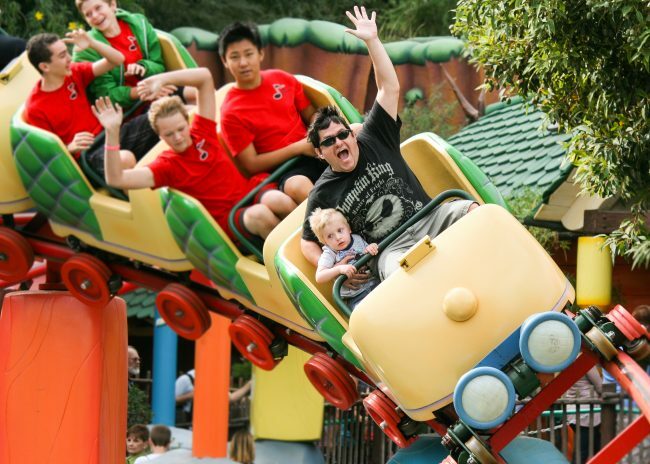 The Goof’s first time on Gadget’s Go Coaster. He looks terrified but he wanted to ride it again. This is not one you can just make happen, which is part of what makes this shot so magical. 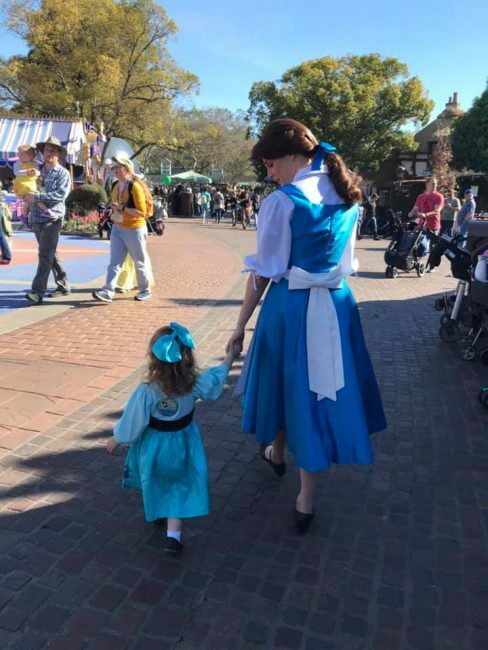 If your child is lucky enough to walk with a character, you better be Instagramming that moment. 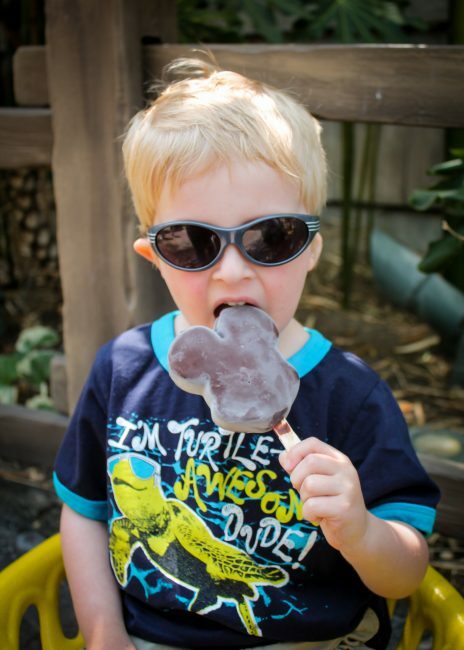 I mean really, is there a cuter Disneyland picture? Extra cuteness points when your kid is dressed like the character they walk with. 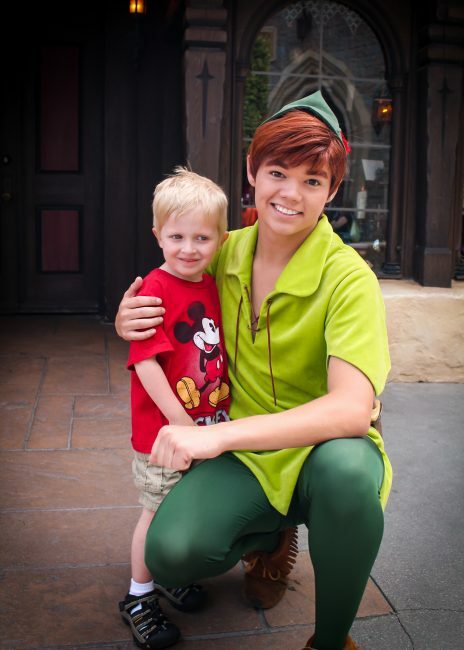 Alright, so to be honest, while your kid walking with a character may win the cuteness contest, any photo with a Disneyland character will suffice. You can’t get always score a Disneyland photopass photographer with characters, but if they have one, definitely take advantage of it. Did you know? 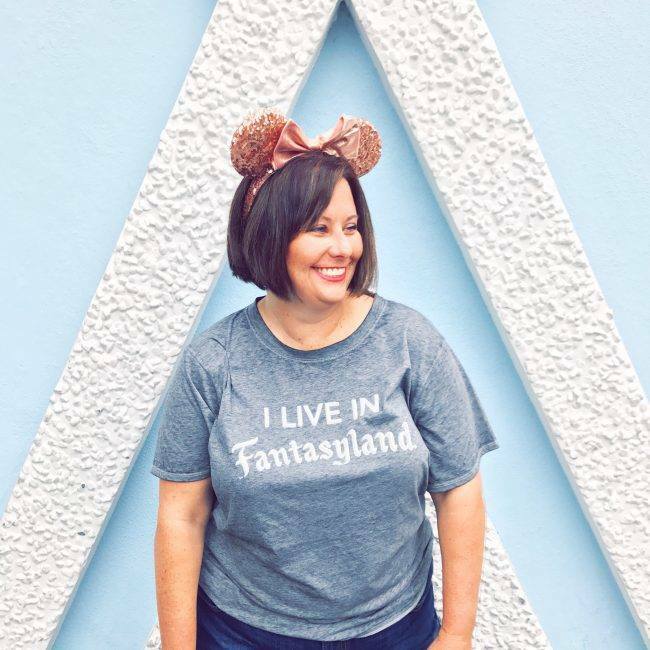 : Any Disneyland Cast Member is happy to snap a photo with your phone or camera for you, even if you don’t have Disneyland’s Photopass. 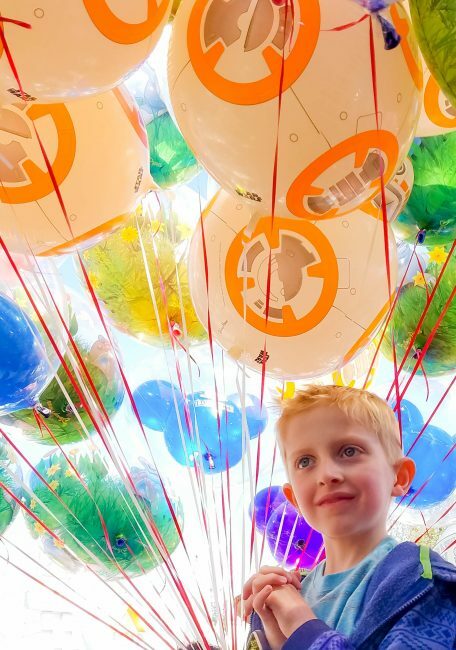 Maybe it is your child holding one Mickey balloon or getting a Cast Member to help them take a photo holding a bunch of Disneyland balloons, but getting that shot on Main Street, near “it’s a small world” or on Buena Vista street is the perfect Disneyland photo. Mickey shaped food is definitely a big part of the Disneyland experience, so getting a photo with a Mickey shaped pretzel or eating a Mickey’s Premium Ice Cream Bar (my personal favorite) is a great way to get a Disneyland feel to your photo, even if the background doesn’t scream that you are at Disneyland. 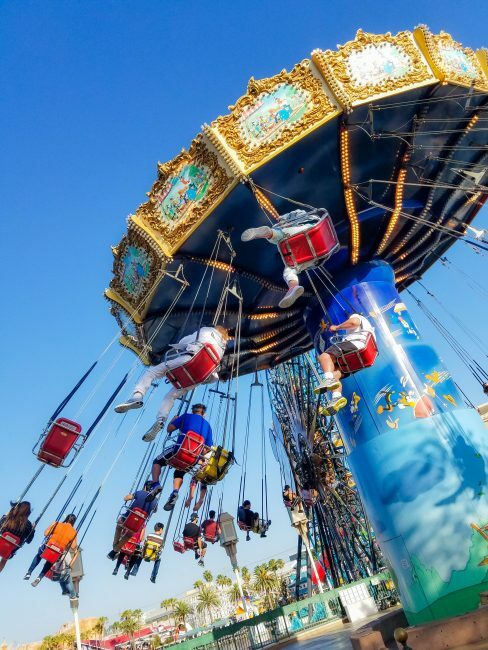 There is something great about getting a photo on the Silly Symphony Swings. To achieve this photo, sit in the inside seats with your photo subject to the left (middle to outside) of you and get this photo while in flight. This is a great shot to get at sunset and bonus points if you capture Mickey’s face from the Pixar Pal A Round in the background. Note: I have totally not done this photo yet because I don’t do the swings… I know! 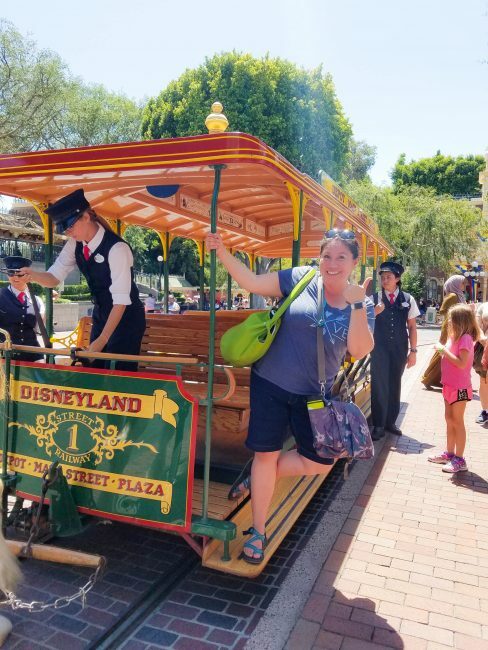 And while none of my blogger buddies or Disneyland with Kids members submitted this photo, I can totally see it in my head. I know I have seen it somewhere. If you have one to submit, send it my way! 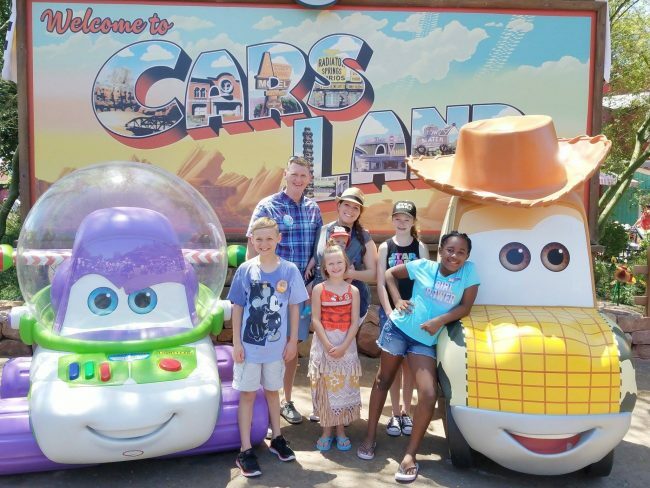 Maybe it is the Disneyland trolley, the Disneyland Railroad, the tram from the Mickey and Friends parking structure, or the monorail, but grabbing a photo on or near a Disneyland vehicle just says “Disneyland.” This is especially true if you can catch the excitement on your kids’ faces. 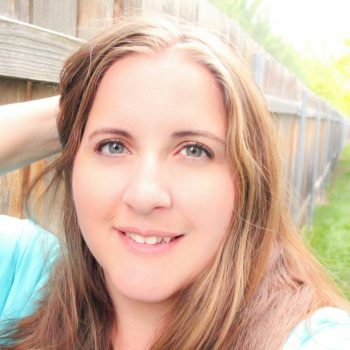 I don’t know if my friend Terrie realized when she posed for this photo it would eventually make it on the blog. Love ya’ Terrie! Almost any photo in Disneyland can scream “I am at Disneyland” as long as it has Mickey or Minnie ears in it. Even those who see your photo who know nothing about Disneyland will know you are at the happiest place on earth when they see those mouse ears on your head. 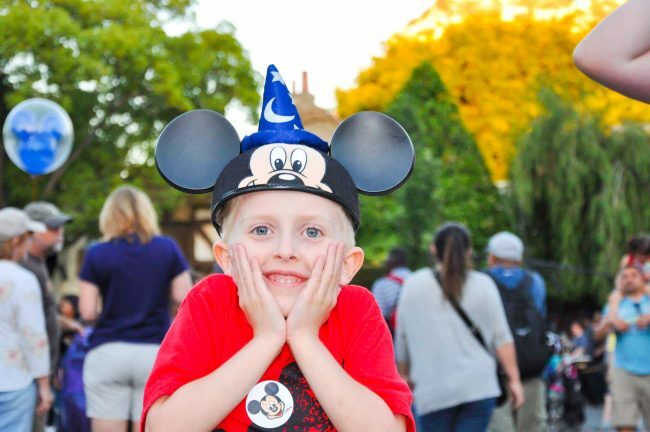 My friend Michaelyn shot this photo of my son, other than a few balloons and crowds, the reason this photo says “Disneyland” is because of his Mickey ears. And this year is a great year to embrace the ears. Disneyland is celebrating Mickey and Minnie turning 90 with “Get Your Ears On” at the Disneyland resort. In addition to that, Disney seems to be releasing new Minnie ears EVERY. SINGLE. WEEK. with this celebration. And it doesn’t have to be wearable ears. 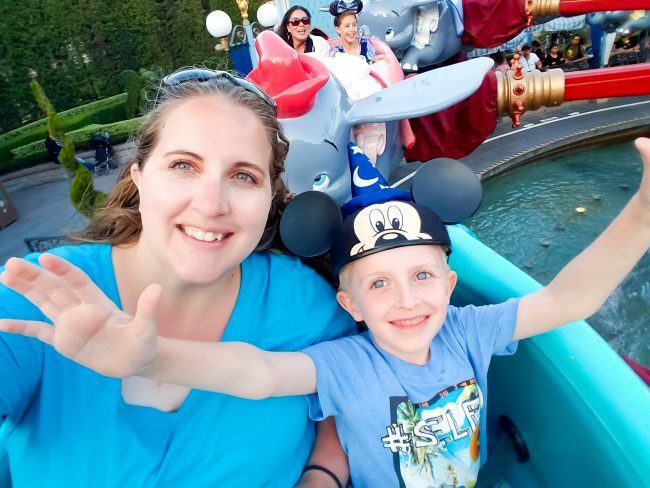 From milkshakes with ears, to Mickey burgers, there are so many great ears to show off in your Disneyland photos, you will never have to do the “same old photo” twice in a row. I miss Pixar Pier😭😭😭 What’s your Disneyland countdown? No more crying over the castle! Hit up some of these photo locations (and the many, many others in the parks) and make some memories. 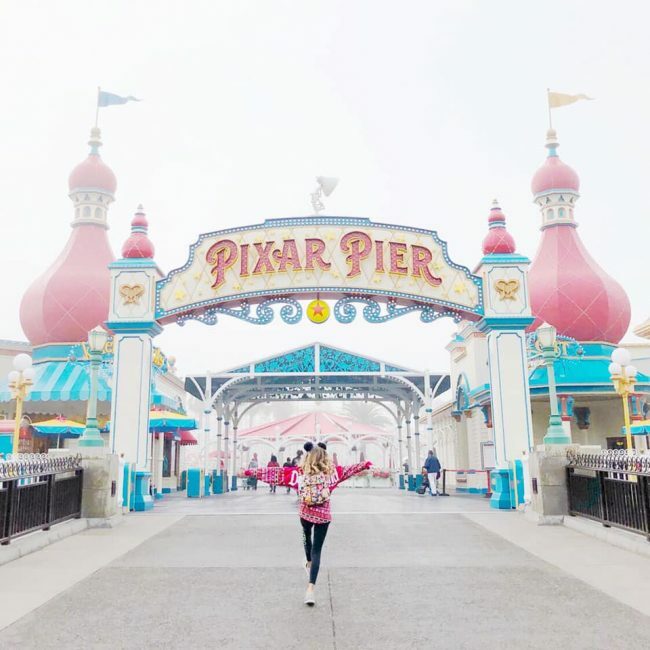 Be sure to check out my Disneyland photo tips for taking amazing photos even if you are not a professional photographer.